The President said he is inviting the business community to help the government hurdle obstacles to progress, especially graft and corruption as well as illegal drugs and criminality in general, so that the Filipino people may fully realize their potential as nation builders. MANILA, Philippines — Public humiliation so vicious it could strip them of their dignity awaits officials and bureaucrats found involved in graft and corruption, President Duterte warned on Wednesday. “Humiliation and maybe a loss of face is more than just the money. 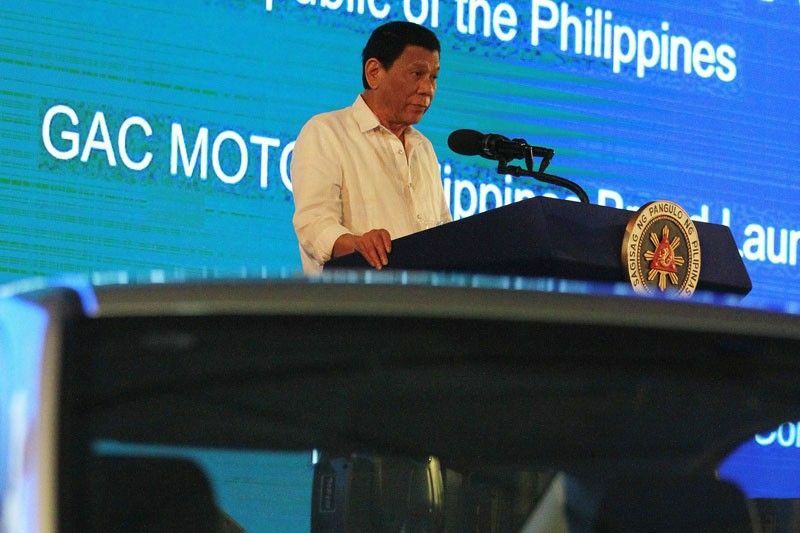 It is the worst way of losing whatever is left of you in this planet,” the President said at the launch of Guangzhou Automobile Corp. (GAC) Motor Philippines in Pasig City the other night. He called corrupt officials “idiots” with no place in his administration. “And I assure you that if it is indeed something which amounts to corruption or graft, I’ll give you the privilege of slapping that person a dozen times in front of me. That way, you place him in humiliation and you maybe shed off his dignity,” Duterte said. The Chief Executive has dismissed several ranking government officials over allegations of graft and corruption while in office. Duterte said that part of efforts to create a business-friendly environment is the eradication of the drug menace and corruption. “Eliminating these social ills is the only way for us to attain genuine peace, foster economic growth and promote sustainable development for our people,” he pointed out. “But I’ve always been of the belief that unless this country will have law and order and corruption in government stopped, we will go nowhere. Mark my word and remember me when I’m gone,” Duterte said. He encouraged local and foreign businessmen to report to him whatever bothers them in pursuing their ventures – including having to deal with bureaucratic red tape or corrupt officials. “Everybody is put on notice that you can have an audience with me in my office by the Pasig River. I’m giving you a 24-hour audience as the case may be,” he said. “Sabihin lang ninyo na may isumbong kayo (Just tell me you’re reporting something). You can approach any senator, congressman, any public official or your friend and all you have to do is to call somebody and it’s available, I am sure. The number is simply 8888. On TV, give his name – the person trying to extort or ask money from you or even little favors,” Duterte stressed. “It is not mine. I am here just to enforce it,” he said, referring to laws that prohibit government officials from asking favors from businessmen in exchange for facilitating transactions. “That’s why I said, unless we stop corruption, the Philippines would be just like flotsam going by the tide of the sea, to and fro,” he said. The Chief Executive said any official who is the subject of a complaint would be made to face him and the accuser. “I will contact you and I will call the person you are complaining against and the three of us will talk,” he said. The President explained that all he wants is for everyone to take part in ensuring that corruption is eradicated in government. “Working together, let us build a truly robust society where prospects for growth abound and where citizens enjoy a prosperous and comfortable life,” the President said.